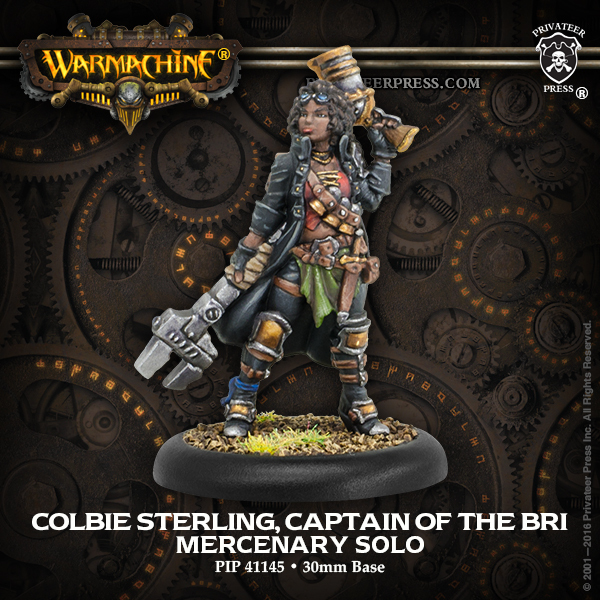 Add Colbie Sterling, Allister Caine & more to your Mercenary forces. A skilled ’jack marshal and mechanik and a versatile fighter, Colbie Sterling is the captain of a small mercenary company known as the Black River Irregulars—a group with a reputation for getting things done even when it means putting themselves at risk. Sterling seeks the most lucrative contracts, with the goal of amassing enough wealth to transform the BRI into a truly formidable mercenary force. 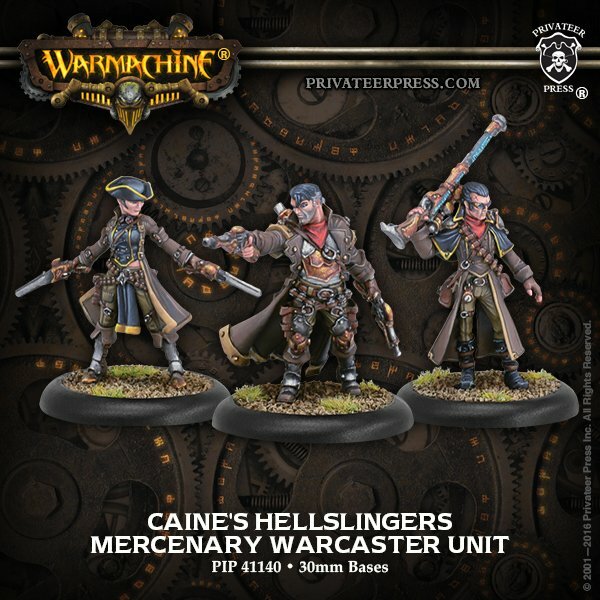 Caine’s Hellslingers has developed a reputation as one of the toughest and deadliest outfits in western Immoren. 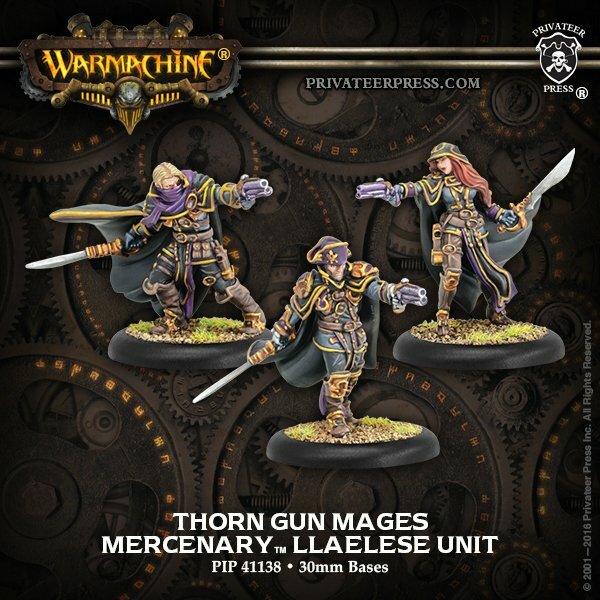 Comprised of former Black 13th gun mages Lieutenant Darsey Ryan and Sergeant Samuel Watts as well as the renegade warcaster Allister Caine himself, this trio has gunned down scores of opponents. Their intelligence, expertise, and lethality make them a force to be reckoned with. ~Become a Merc – get a badass leather coat – sign up today!